Orange Creamsicles are one of my favorite summer treats. And when Christmas rolls around, the chocolate orange that you slam on the table to break apart is a favorite of mine too. 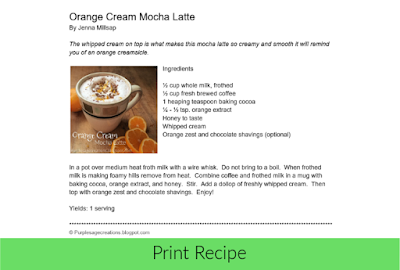 Keeping these two yummy treats in mind, I wanted to combine them into one of my favorite drinks, the mocha latte. 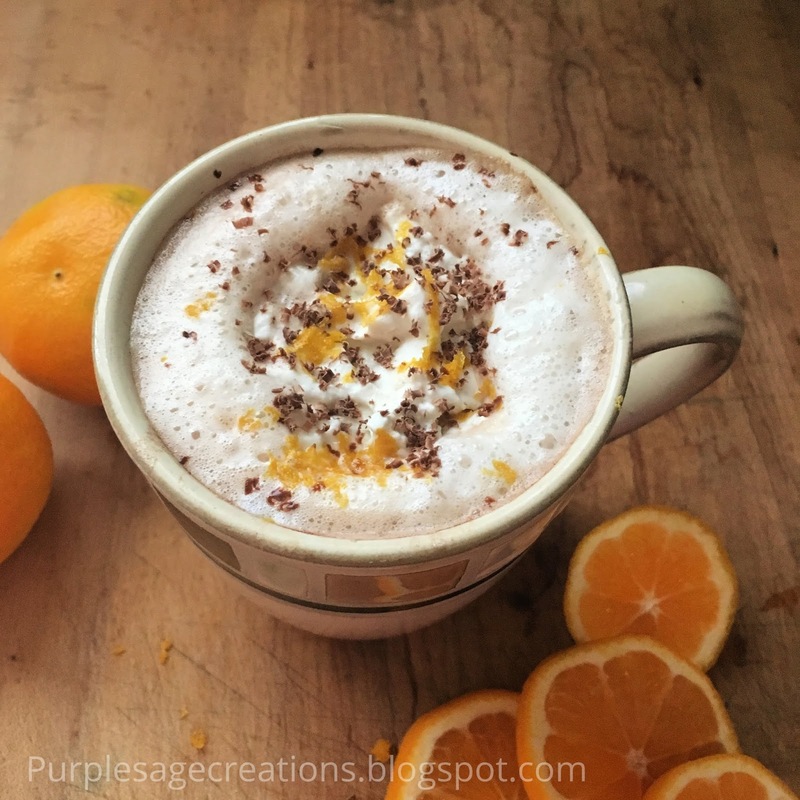 This mocha is a bit different from my easy gourmet homemade mocha I shared on day 1 of the 12 Days of Mochas series. This one is a method I use when chocolate syrup is not available in my house, or I'm looking to a bit of a healthier version. I still froth the milk and brew the coffee the same way, but instead of adding chocolate syrup I add a heaping teaspoon of chocolate baking powder and honey to taste. Then to add the orange flavor I add orange extract. Stir well and plop some homemade whipped cream to the top. The whipped cream is really what makes it taste like a orange creamsicle. I like to add a bit of orange zest and chocolate shavings on top for even more flare, but that's totally optional. Try this recipe and tell me what you think in the comments below. 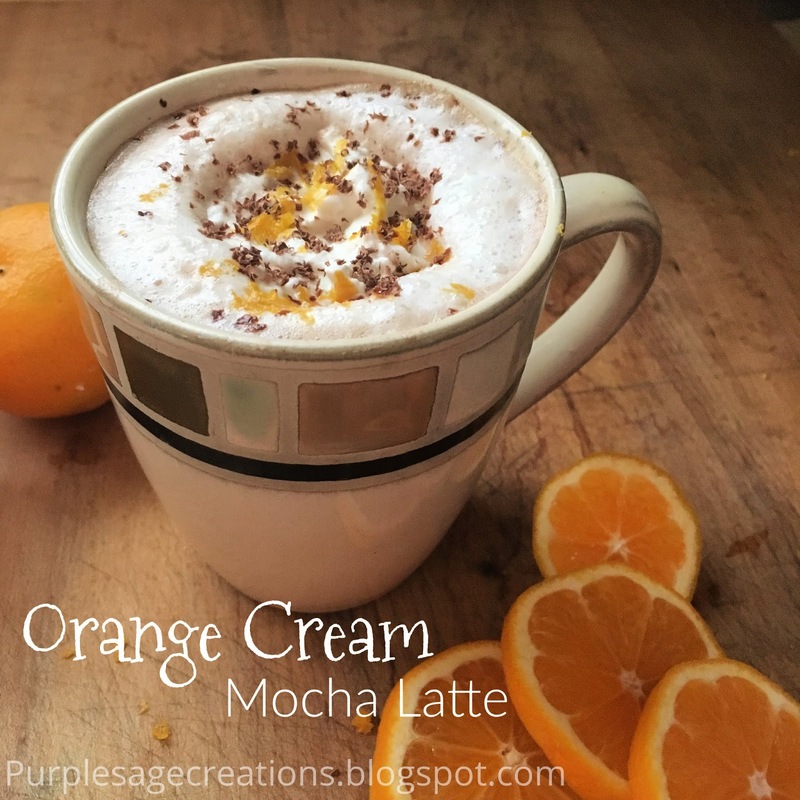 Catch more 12 Days of Mochas at @purplesagecreations on Instagram.